This Convertible Office Bed comes with a button that can convert the bed into an office of vice versa. A cool idea for anyone who finds they need to get some sleep while at the office. 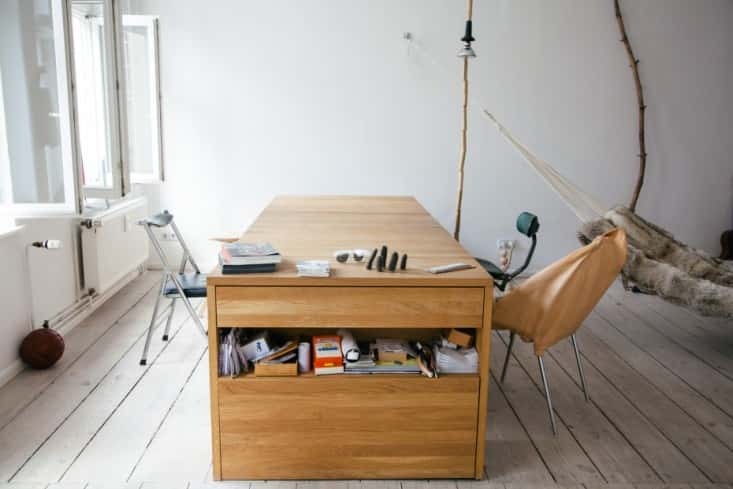 Also a great way to convert your office into a spare guest bedroom when you have visitors. An excellent space saving piece of furniture. 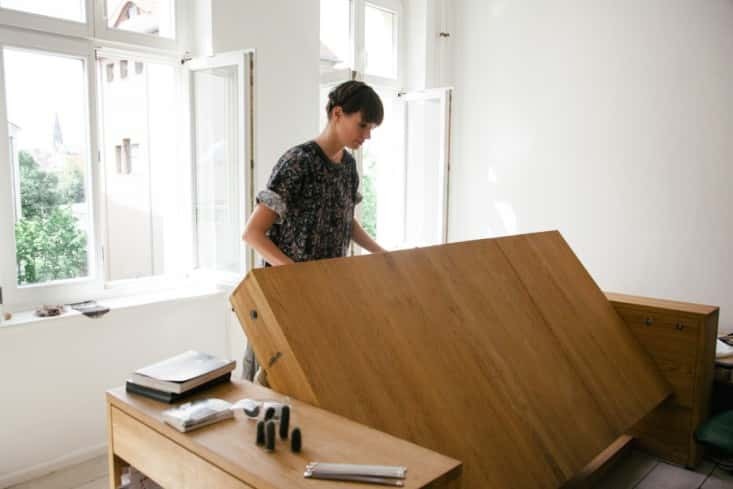 The desk provides plenty of space in order to work comfortably and conveniently situated storage room. The bed is the perfect size to nap comfortably. The designer of this piece is Mira Schroder. 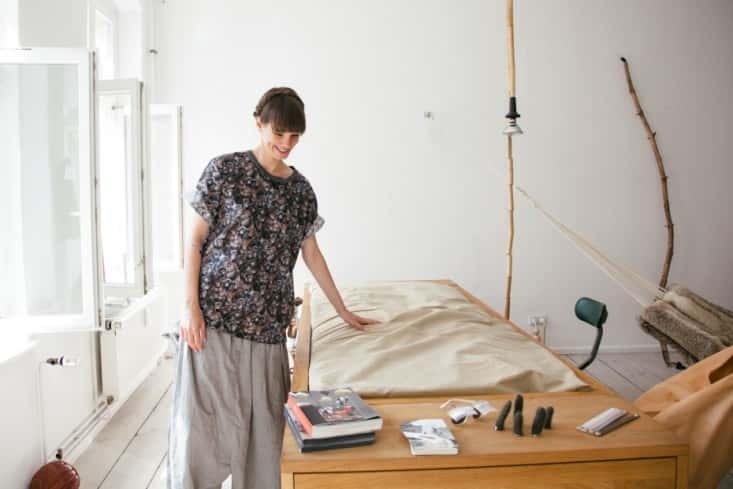 Mira was educated in Karlsruhe and her designs are currently available for purchase at Bless Home. Bless Home is a unique space where artists and designers sell their work.